Often the Christian community believe that purity only relates to the issues regarding sexuality, but being pure as God intended actually means more than that. 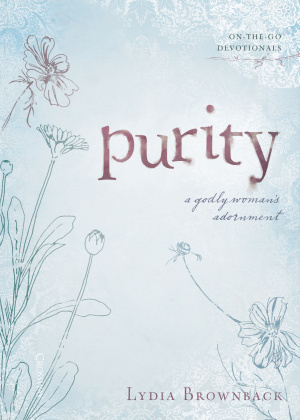 Lydia Brownback searches through scripture to answer womens questions on how purity can adorn godly women, and what purity really means? Lydia Brownback guides women to understand that as they lean on the purity of Christ our hearts are purified. Purity is part of a series of compact devotional books that Lydia Brownback has created in order for women to overcome spiritual hurdles. These devotionals remind women daily that when they put Christ first everything else is taken care of. Purity by Lydia Brownback was published by Crossway in May 2010 and is our 23387th best seller. The ISBN for Purity is 9781433512988. Be the first to review Purity! Got a question? No problem! Just click here to ask us about Purity.